Do you feel like someone is watching you? Do you feel like every task given to you is impossible or made to fail? 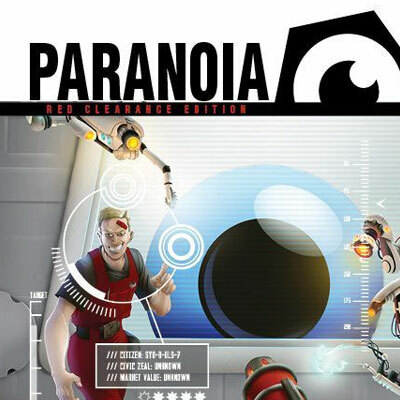 Perfect, you are ready to play PARANOIA RPG. Join Carlos and Nate as they review the latest incarnation of the classic RPG PARANOIA from Mongoose Publishing. In a future where an insane computer runs your daily life and you hope that you don’t run out of clones before the mission is complete, you must prove you are not a conspirator and working against your fellow players. Perfect for a one shot or short campaign.